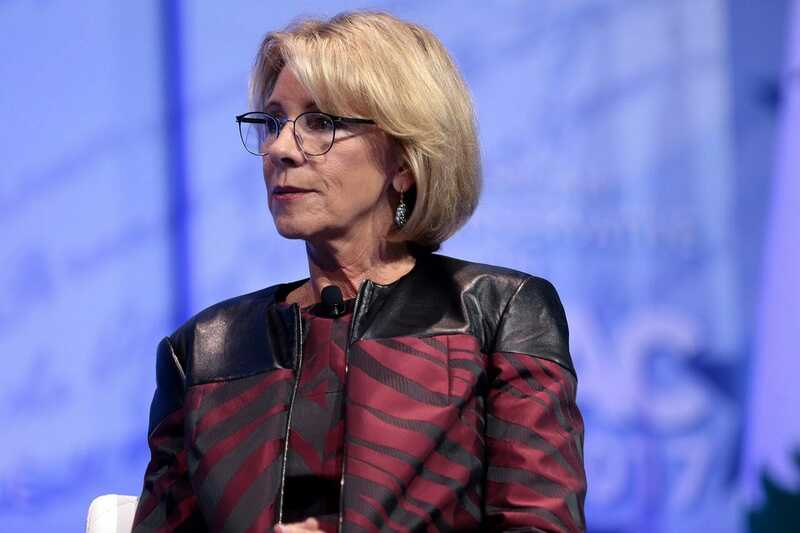 On Friday, Secretary of Education Betsy DeVos announced plans to all but do away with Obama era regulations imposed on for-profit colleges to faithfully report on and help secure gainful employment for their graduates. For both figures, a rate or percentage of 8% is considered passing. Rates in excess of 12% are considered failing. In other words, if a graduated class pays on average more than 12% of their annual earnings in student loans every year, the DoE will remove access to Title IV Federal Aid—the means by which many for-profits take in 90%+ of their total income. DeVos has appointed numerous industry insiders to her department, including a former dean at DeVry University. U.S. Air Force. DeVos’ proposed rule will now require non-profits as well as for-profits to report debt to earnings statistics, among other metrics. But it will no longer determine eligibility for Title IV funds. DeVos has allowed for a 30-day period of public comment during which individuals can weigh in either for or against the measure. If nothing changes, the rescission of gainful employment regulations will go into effect July 1, 2019. In the corners of the internet where liberals, educators, and regulators frequent, there was an outpouring of anger and resistance to the rescission. Many other reactions fell into the ‘this is bad’ category. But amongst think tanks, for-profit industry insiders, and conservative media outlets, there was a more nuanced picture to be painted. He also pointed out that, since the regulations went into effect in 2010, nearly half of all for-profit schools have closed and enrollment has plummeted. Perhaps strangest of all, this reaction comes from conservative media outlets. While the issue received massive coverage and interest throughout the liberal media, no mention was made of it on Fox News, The Wall Street Journal, Townhall, Breitbart, The National Review or the Daily Caller. Some insight could be gleaned from the comment section on a Daily Signal editorial that ran mid-July which argued for removing regulations on for-profit education. “Mrs DeVos needs to notify the President and Congress that the Dept of Education is a waste of taxpayer money and all of its responsibility and authority and money needs to be returned to the states where the rightly belong. I.e, close that sucker down,” writes Rvsforever. The vast majority of the 50 other comments reflected similar opinions.